A number of capabilities are available for managing manufacturing programs. This task shows you how you can edit a manufacturing program. When you open a Machining workbench on a CATPart document, the manufacturing document is initialized with a Manufacturing Program. When you select Manufacturing Program , a new program is initialized in the part operation and a new Manufacturing Program entity is added to the tree. Open the HoleMakingOperations.CATPart document, then select a Machining workbench from the Start menu. 1. Double-click the Manufacturing Program in the specification tree. The Manufacturing Program dialog box appears.Rename the program and add a comment as shown below then click OK.
2. Create a Drilling operation on the circular pattern of six holes. 3. Create a Spot drilling operation on the circular pattern of six holes and the rectangular pattern of 10 holes. 4. Create another Drilling g operation on the rectangular pattern of 10 holes.The three operations are assigned the same default tool. 5. Edit the spot drilling operation to assign a spot drill tool.Each operation now has an associated tool change. 6. Right-click the first Drilling operation and select Cut. 7. Right-click the second Drilling operation and select Paste.The program is reordered. You can delete unnecessary tool changes to give the following result. The same result could have been obtained by using the drag and drop capability. Cut / Copy / Paste of a tool change node does not copy associated machining operations. The program can be simulated using NC code data or tool path data. The program can be replayed using tool path data. Start Machine Simulation : if the NC Machine Tool Simulation product is installed, you can switch from the Machining workbench to the NC Machine Tool Simulation workbench by clicking this icon. Start Video Simulation : allows direct access to Video material removal simulation for the program. Tool Path Replay : allows direct access to tool path replay for the program. To choose simulation using NC code data, select the NC Code Based Simulation check box. 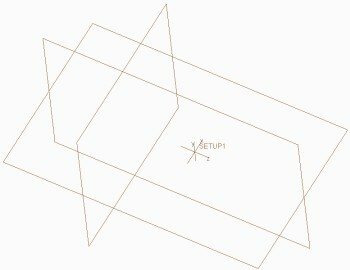 Otherwise, simulation is done using tool path data. You must specify the NC code data to be simulated by means of the NC File field. In additional to this main file, you can specify second file, which may be an ISO file split into subprograms or several smaller files, by means of the Additional NC File field. If you specify additional files in this way, then during the simulation a specific NC Code dialog box is displayed for the duration of the subprogram in addition to the NC Code dialog box of the main program. Display Origin Management dialog box : displays the Workpiece Origin Management dialog box, which controls G53, G54, G55, G56, G57, G58, G59 NC code data. Display Cutter Compensationdialog box : displays the Cutter Compensation dialog box, which controls G41 and G42 (radial compensation) and G43 (2- and 3-axis length compensation) NC codes. 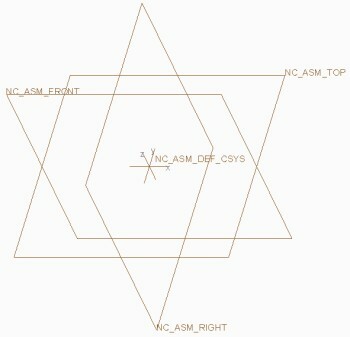 Please refer to the NC Machine Tool Simulation User’s Guide for a description of NC code based simulation capabilities. When a kinematic Multi-slide lathe machine (that is, a CATProduct representation created using the NC Machine Tool Builder product) is assigned to a Part operation, you can specify which turret is to be used in the manufacturing program by means of the Turret Name combo. The Turret Station Editor command also appears on the Manufacturing Program dialog box. When you click the Turret Station Editor command, the Turret Station Editor dialog box appears. It allows you to select Tool Assemblies/Tools from the Resource List and assign them to a specific station on the Turret. Axial tools/tool assemblies, Mill tools/tool assemblies, and lathe tool assemblies can be selected in a Station combo.